Never miss a goal with the new Soccerway app and get lightning fast, reliable, live football scores direct to your phone. 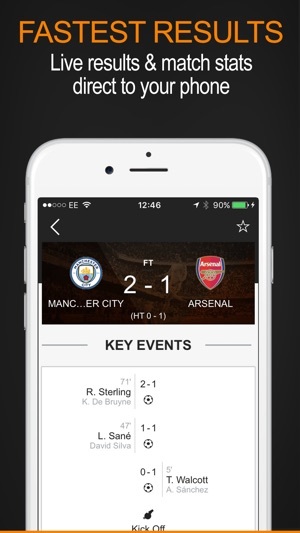 Create a personalised feed of your favourite teams and competitions from all over the world. Enable notifications to set real-time goal alerts to keep you in touch with the action. 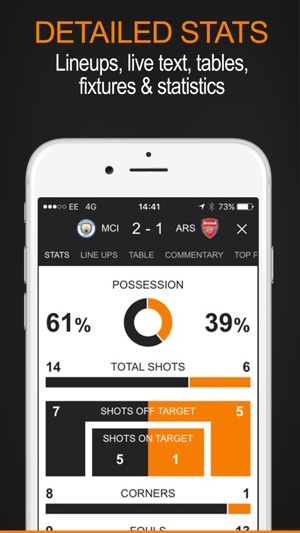 Goals are registered on the app by a team of match scouts within moments of the ball hitting the back of the net. You can select to get alerts by clicking the star next to the teams, fixtures and competitions you want to follow. We have scouts all over the world, covering over 10,000 clubs in Europe, Africa, Asia and the Americas. 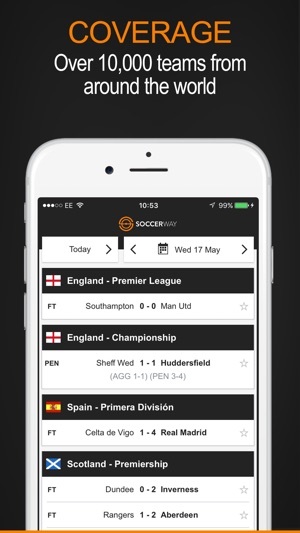 The Soccerway app is powered by Opta and includes the latest team line-ups, league tables and fixtures. 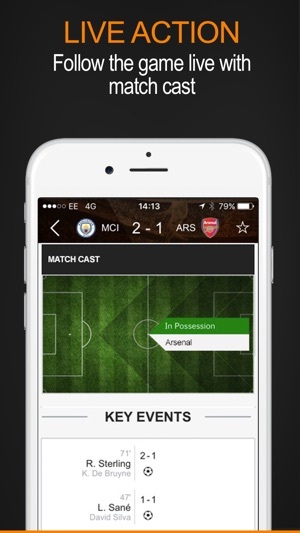 Get live commentary and an animated matchcast that displays all the key events in the game. The alerts on the Soccerway app can be faster than live TV, so you may want to pause notifications for the game you are watching. 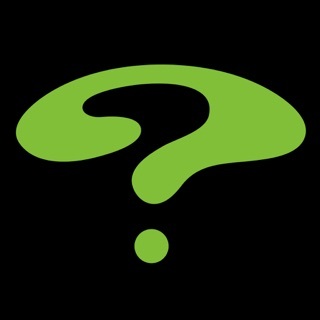 If you need any assistance using our app or if you have any feedback we would be happy to help you. Finally and app that respects the women's leagues as much as the men's. Would love to have an upgrade option for ad free, otherwise, it's a stellar app.